Canyon of the Eagles is a Texas gem that many visitors in the state have yet to discover. Located a little more than an hour’s drive north of Austin, 90 minutes north of San Antonio, and two and a half hours southwest of Dallas, this 940-acre nature preserve and resort provides plenty of activities to keep everyone in the family busy—or plenty of opportunities to hang back and relax while enjoying a symphony of bird songs and glorious sunsets on the lake. Take a scenic pontoon boat ride on the original channel of the Colorado River to see a variety of wildlife, waterfalls, sheer cliffs, and migratory birds. 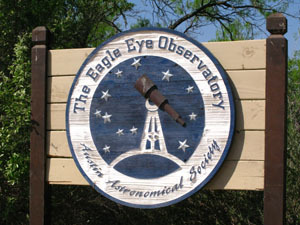 Look to the skies at Eagle Eye Observatory, an on-site state-of-the-art viewing area with two high-powered telescopes. Explore along 14 miles of nature trails, keeping eyes open for wildlife including the endangered golden-cheeked warbler and black-capped vireo. Enjoy a “movie under the stars,” a tradition of Canyon of the Eagles. 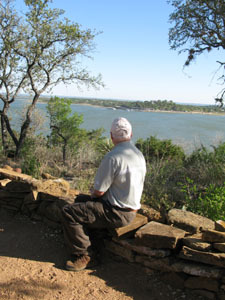 Savor sunsets and panoramic views of Lake Buchanan while dining on dishes prepared with local ingredients and accompanied by Hill Country wines at The Overlook Restaurant. Paddle under Fall Creek Falls on Lake Buchanan in a kayak or canoe. 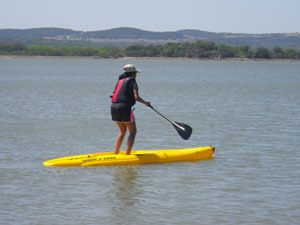 Or try the new water sport—standup paddle boarding. Test your navigational skills with a geocaching scavenger hunt. 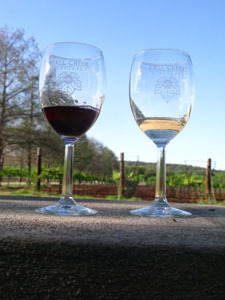 Venture out: Go underground at Longhorn Caverns, taste wines at Perissos Vineyard or Fall Creek Vineyards, try antiquing at Marble Falls, or cast your fishing line in Lake Buchanan. Get comfy in one of the rocking chairs on your back porch or at spots like The Perch and Sunset Point to enjoy a good book or simply gaze at the bounty of nature’s beauty.